Sell your old / used Mobile Phone and Tablet at amazing prices in less than a minute. You can also recycle dead or bricked phones, tablets and laptops with free doorstep pickup. Visit our website using your PC or Mobile and find the item that you wish to sell / recycle. Pick up executive will call you for door step pick up of your device. Don't worry. 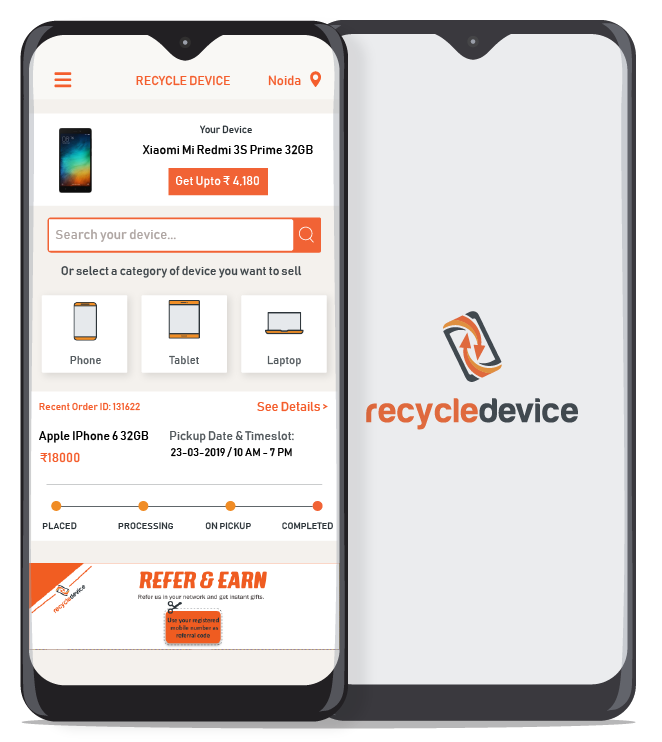 After pickup, your device will go into safe hands for reuse through our refurbishing, recycling or retailing partner.